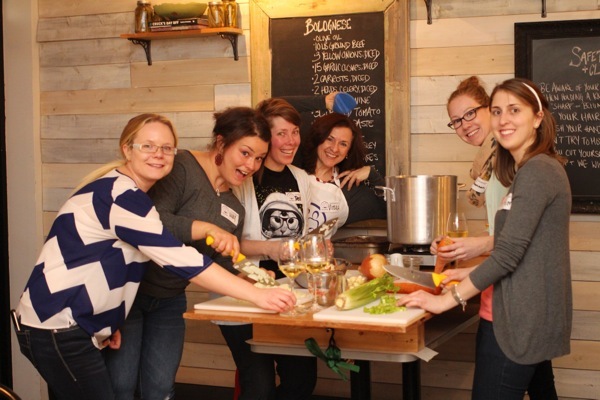 Maybe you are thinking that a soup-making event is a great idea for your community or organization but don't know exactly where to start. 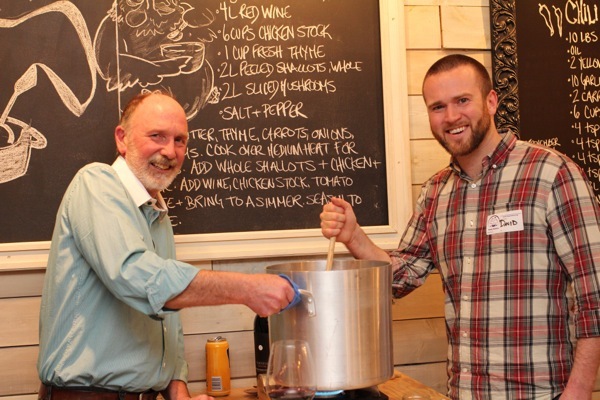 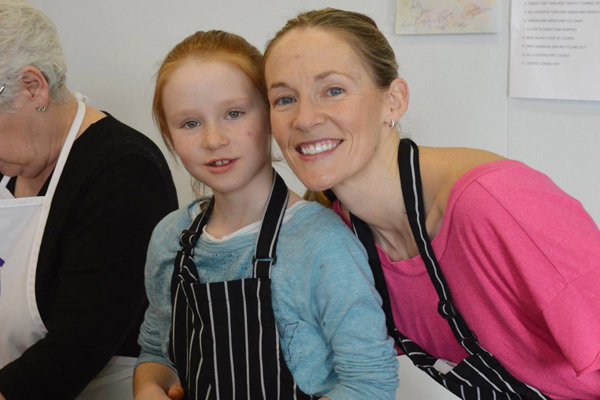 At Soup Sisters and Broth Brothers we have such a strong fundamental belief in soup as a nurturing and nourishing gift that we are here to help you create your very own POP-UP soup event. 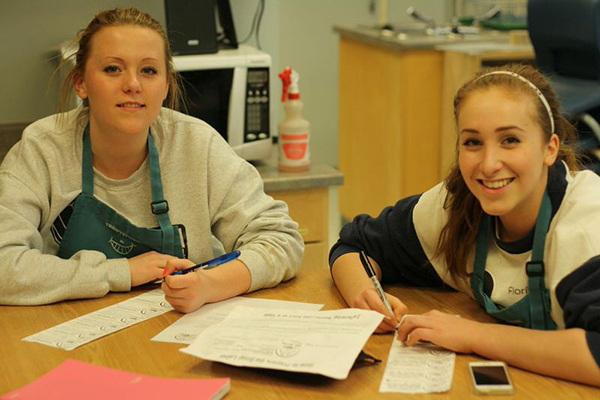 We have a few rules! 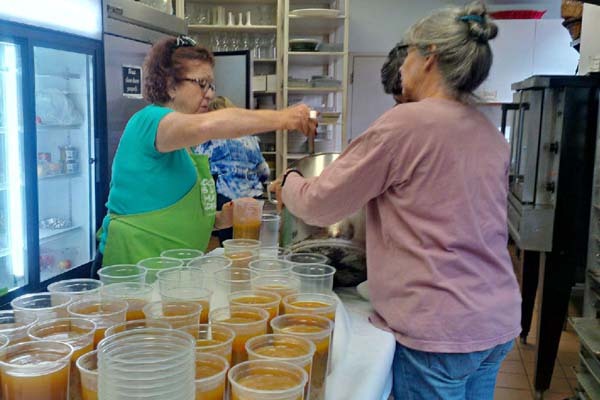 The soup being made must be 'souped forward' to an organization that would benefit from the kindness and care that goes into creating these 'hugs in a bowl' for those who need it most. 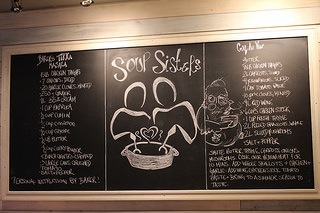 Events can model Soup Sisters only within the parameters that we provide. 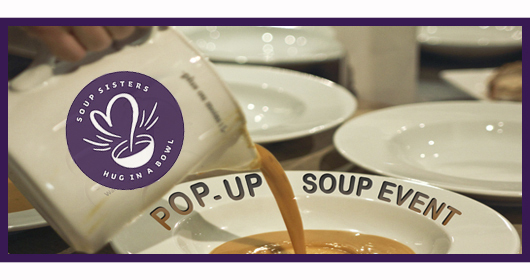 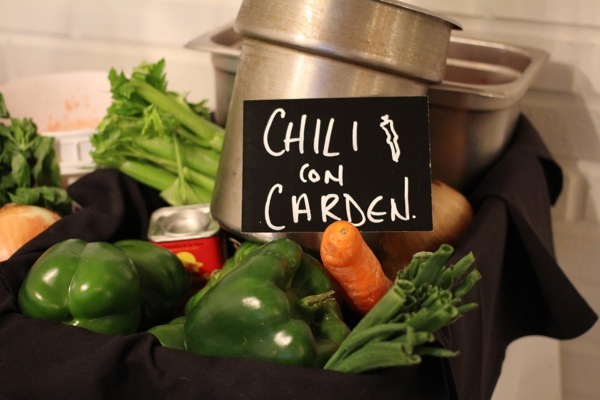 You cannot profit or charge for POP-UP soup events. 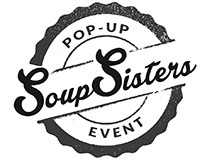 You can promote this as a Soup Sisters POP - UP event, but cannot advertise as a trademarked Soup Sisters event. 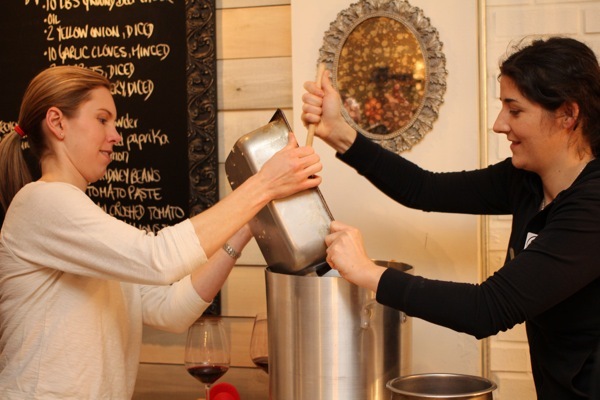 We will provide you with our tried and true Soup Sisters recipes, labels for handwriting the ingredients, and lots of guidance on how to set up soup-making stations in your own certified/commercial kitchen environment. 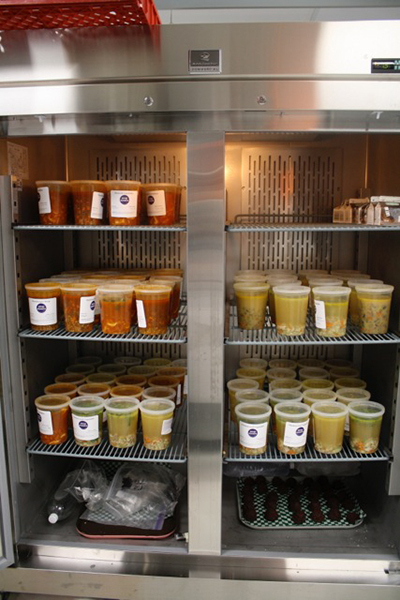 We are happy to be your helpline because soup is what we do and we do it really, really well! 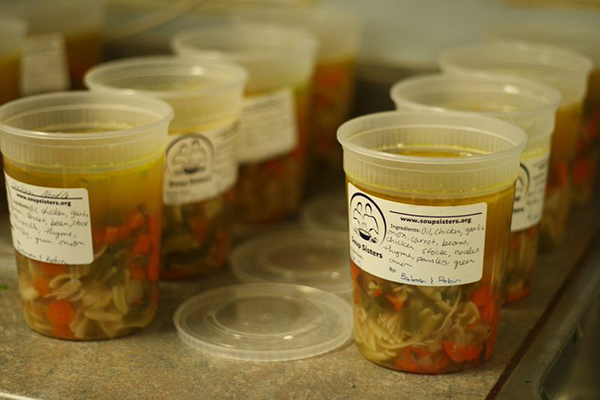 All POP-UP soup events will also receive two complimentary Soup Sister and Broth Brothers Cookbooks, as well as a write up on our website with a link back to your school or organization. 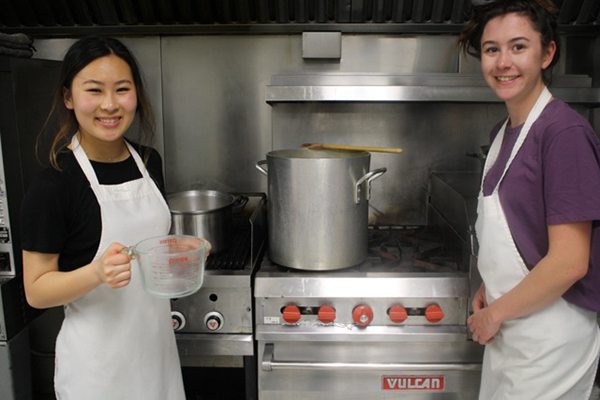 For more information contact us at info@soupsisters.org. 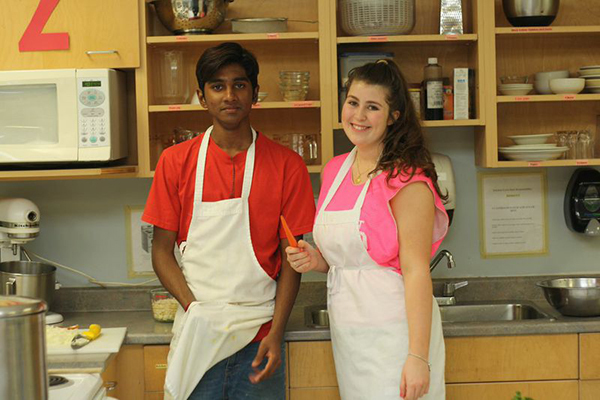 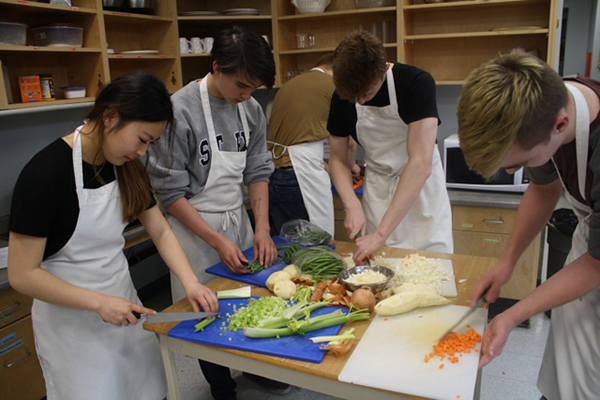 Claremont Secondary soup makers extraordinaire back at the chopping table with over 25 students and staff volunteer for their April soup-making session. 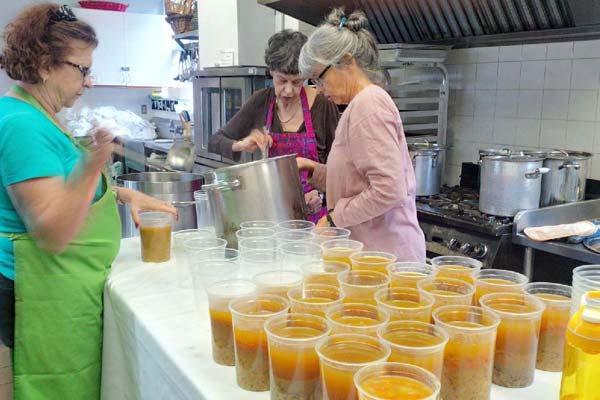 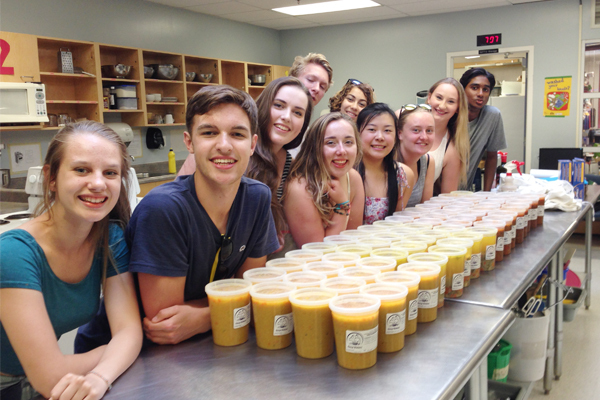 They produced a record 90 litres of soup for Women's Transition House. 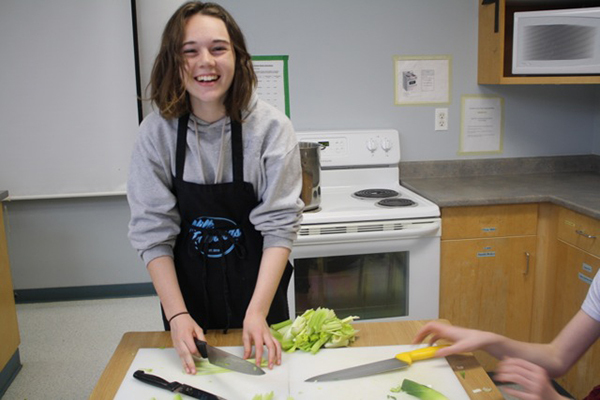 Liza Miles from the shelter came to speak to our kids about the services they provide, and about the two houses supported by our soup. 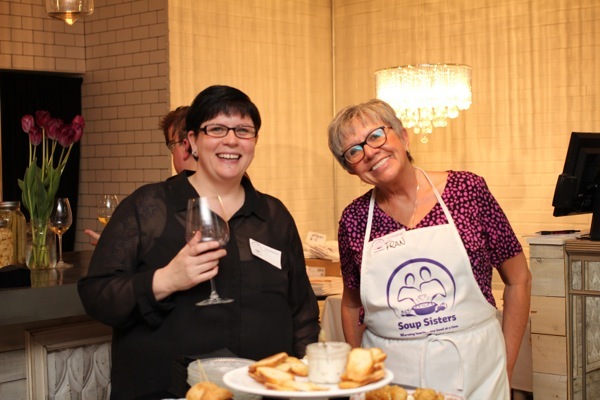 It was another fantastic event! 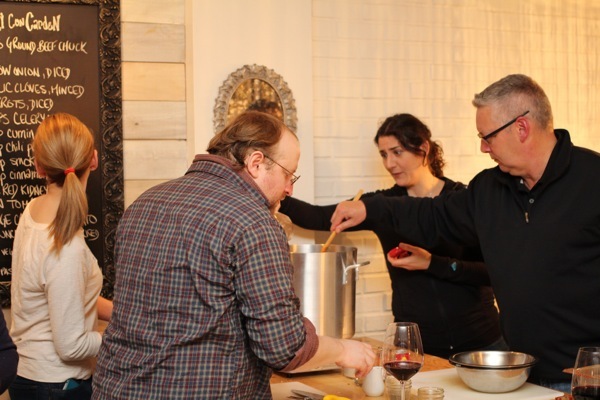 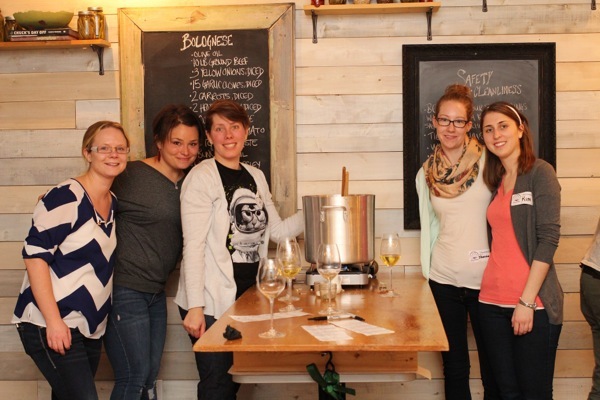 On Monday night, March 16, 2015, head chefs - Becky and Baker - of 39 Carden Street and Baker Street Station joined the Soup Sisters and Broth Brothers of Guelph to host #PopUpSoup. 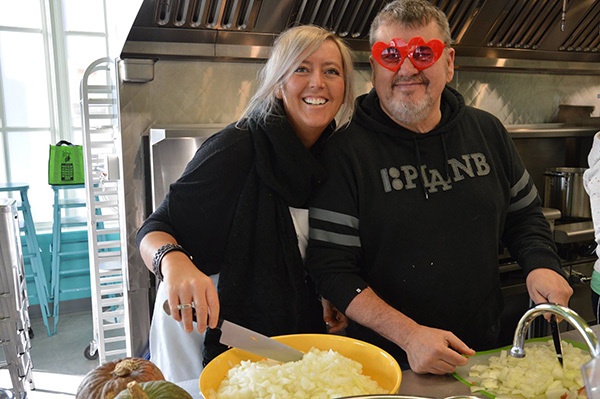 The night was put together to help support the Guelph Wellington Women In Crisis' Marianne's Place, which suffered a devastating flood in February. 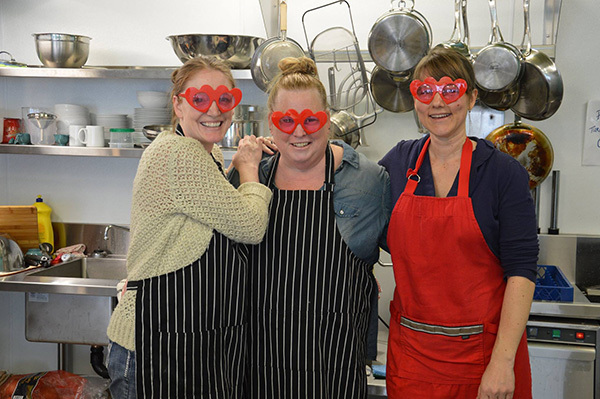 Big love on Valentines Day from Soup Sisters to those without a place to call home. 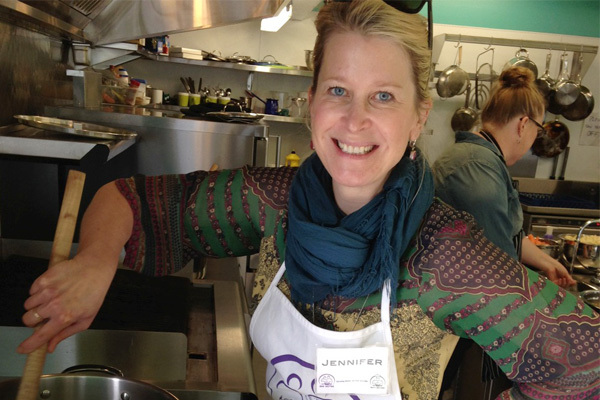 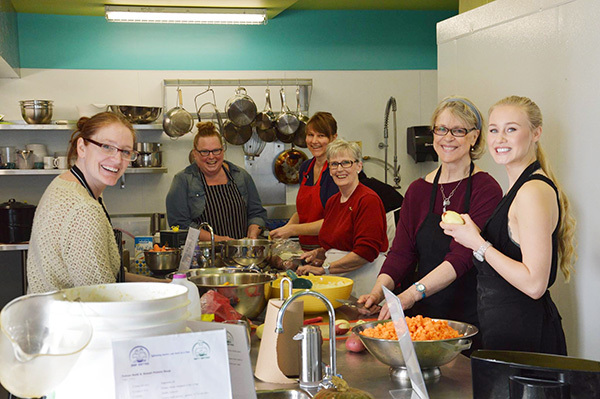 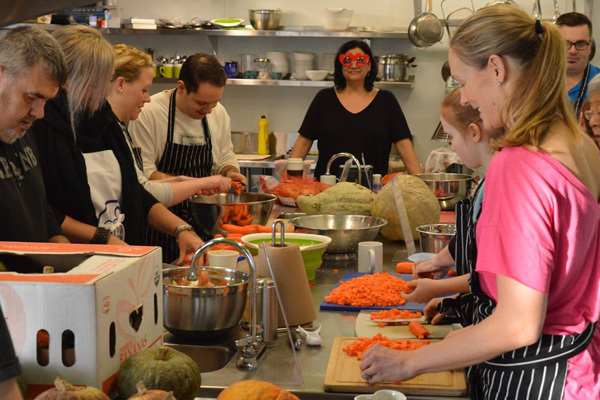 Soup Sisters volunteers in Kelowna gathered together at at Saj Common Kitchen on Valentine's Day for an 'extra' special day of spreading soup love. 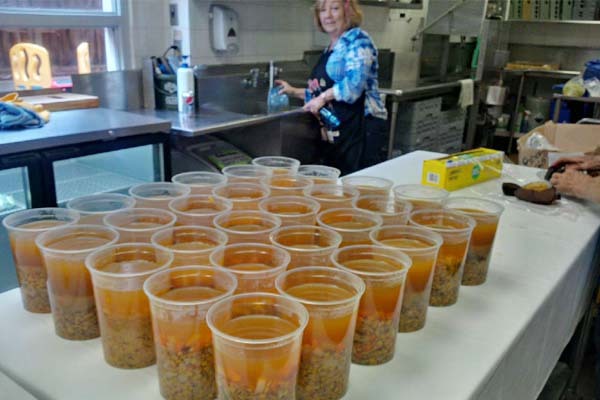 The goal was to provide meals for our homeless friends in the community and to show our love as part of a locally organized "Love In" homelessness awareness campaign. 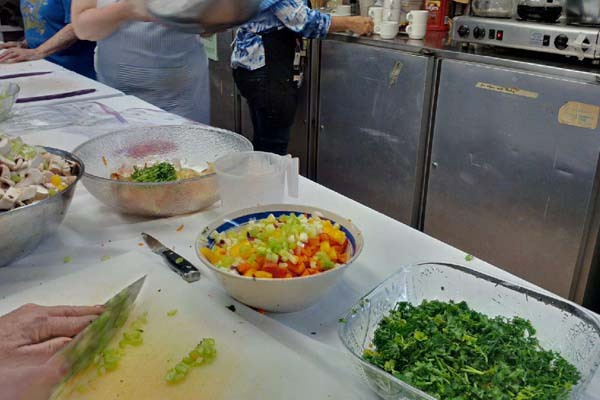 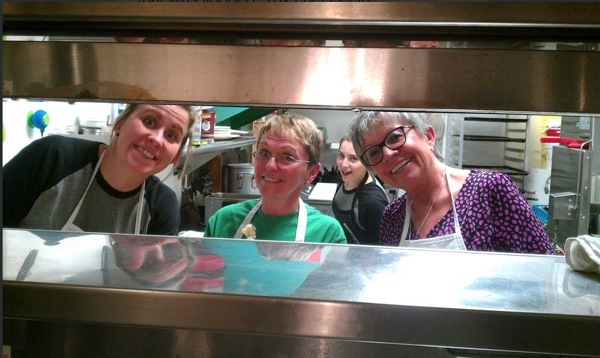 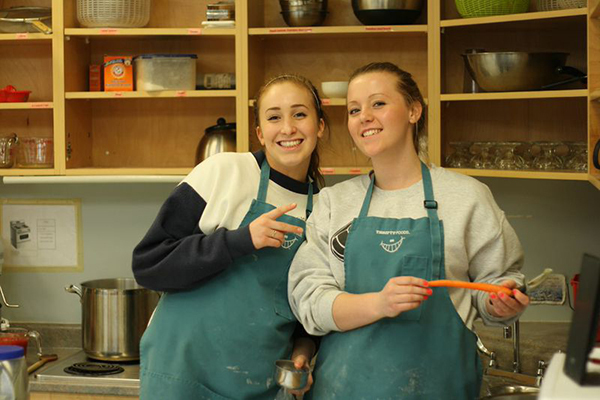 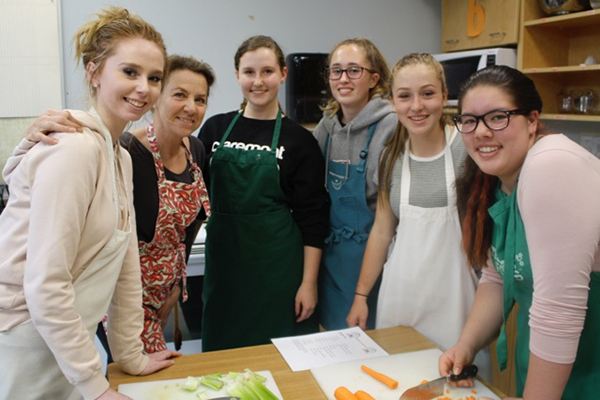 The Victoria Women's Transition House will get double love this month as Claremont Secondary School held its first Soup Sisters/Broth Brothers event on the evening of April 15th in the school's cafeteria. 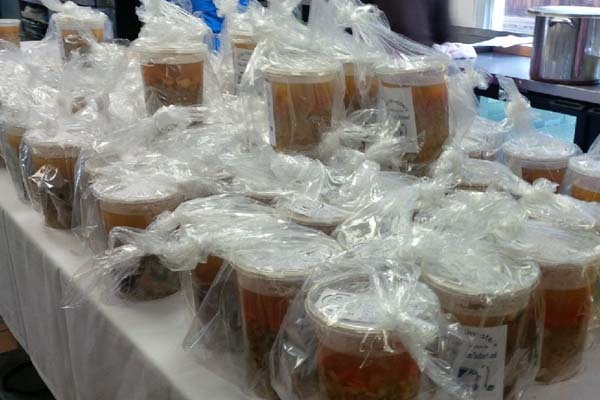 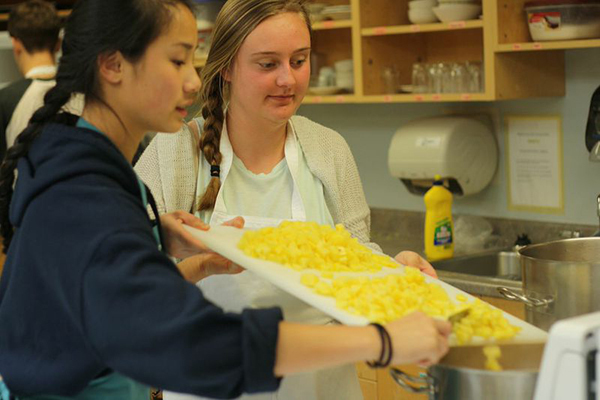 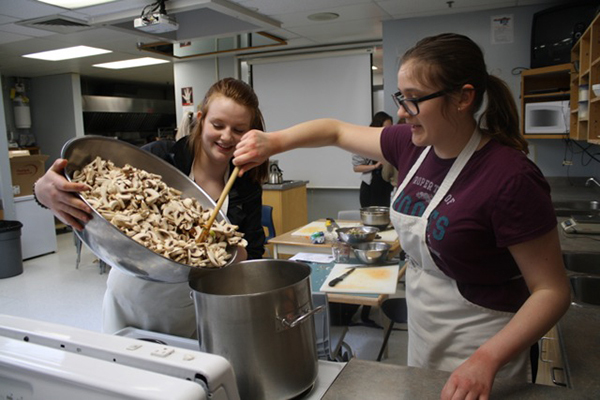 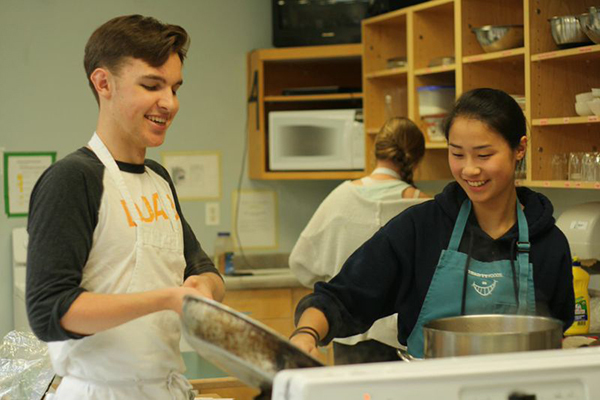 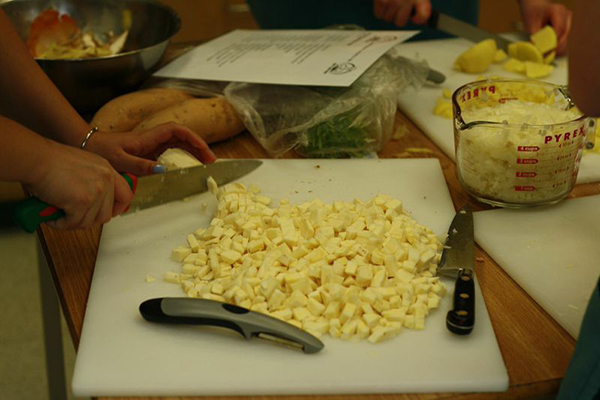 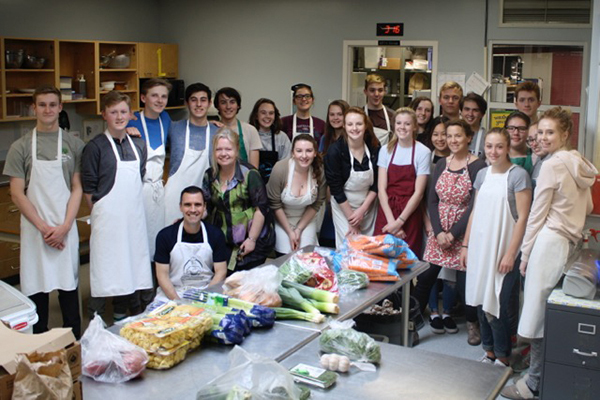 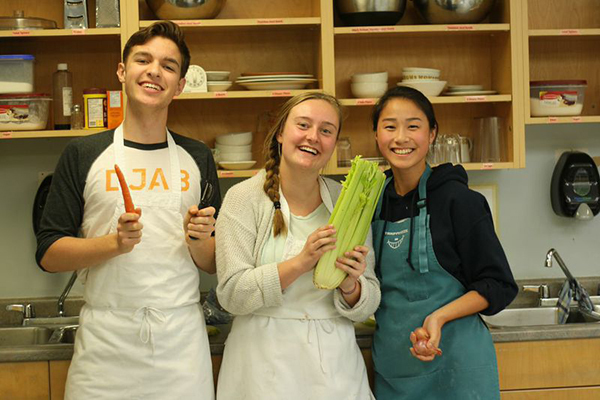 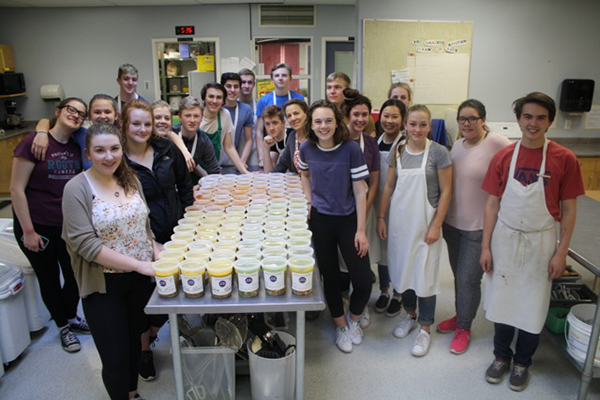 A stalwart group of Grade 11 and 12 students diced, chopped, and simmered their way to an amazing 61 litres of delicious and nutritious soup, which were packed up and delivered very next day. 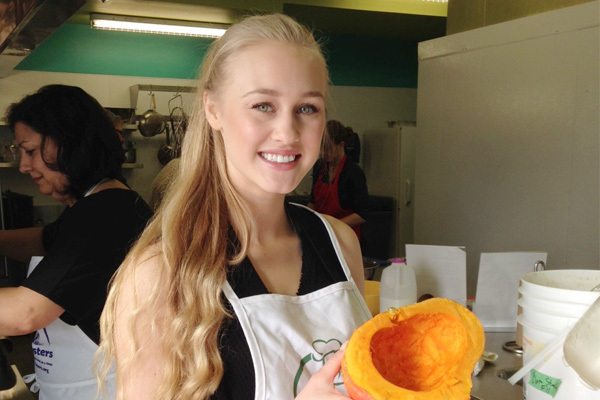 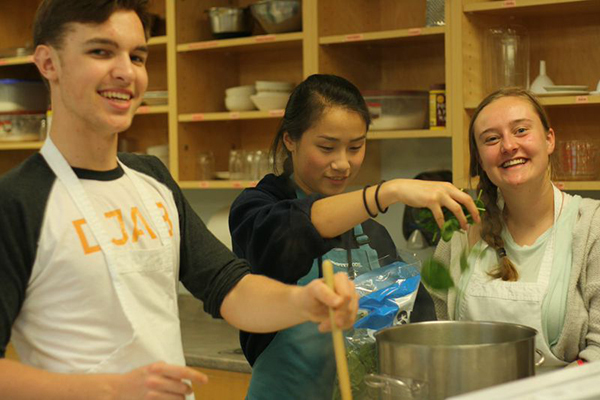 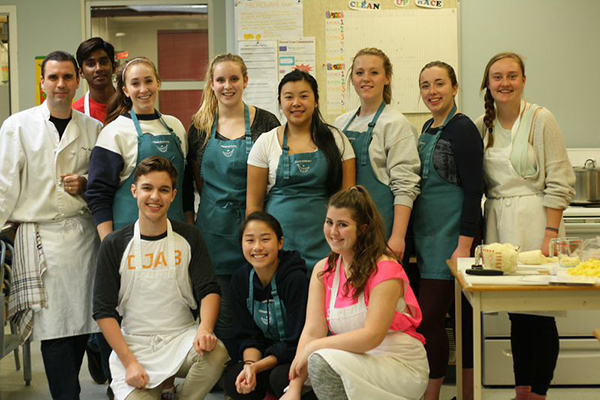 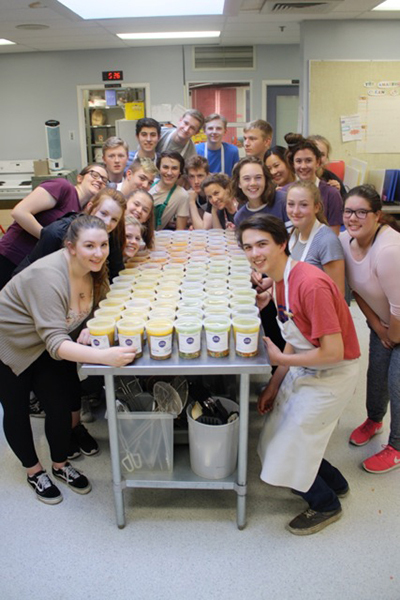 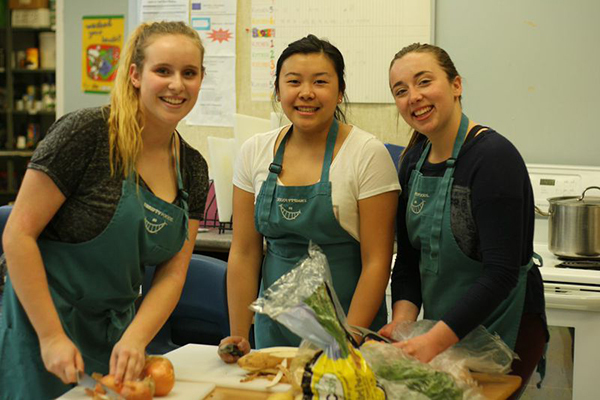 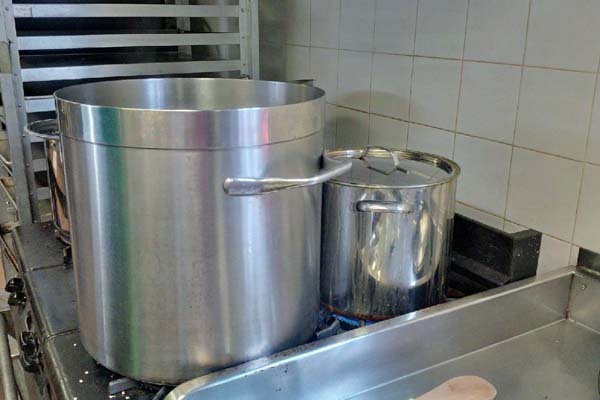 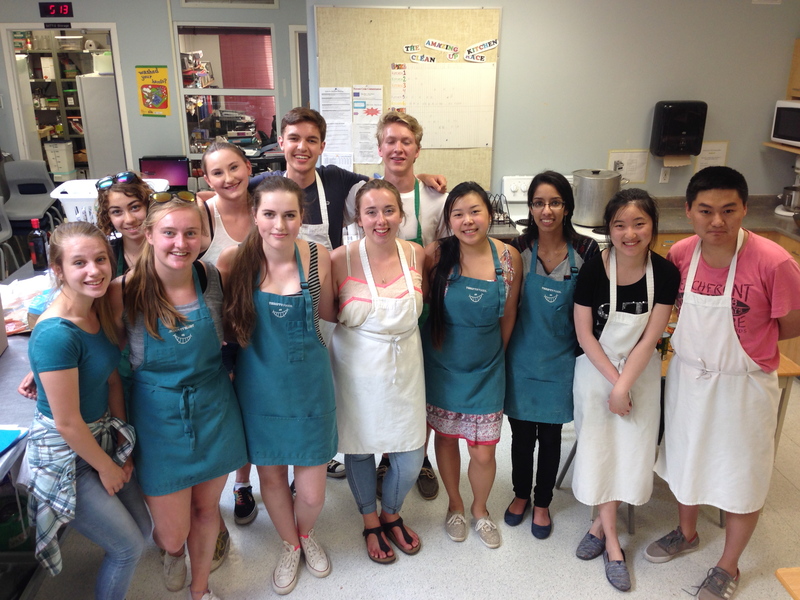 The students of Claremont Secondary School were at it again on June 11th, producing an amazing 68 litres of soup for Harrison Place, a branch of the Victoria Women's Transition House that supports women aged 45 to 65 who have left abusive relationships. 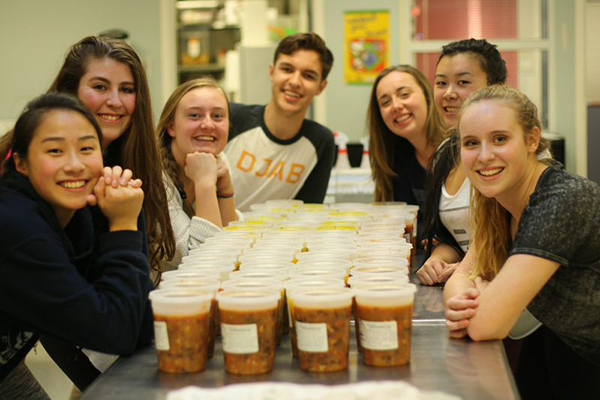 The 13 students, many of whom were repeat participants from Claremont's April session, put aside a few hours during precious final exam preparation time to give back to their local community. 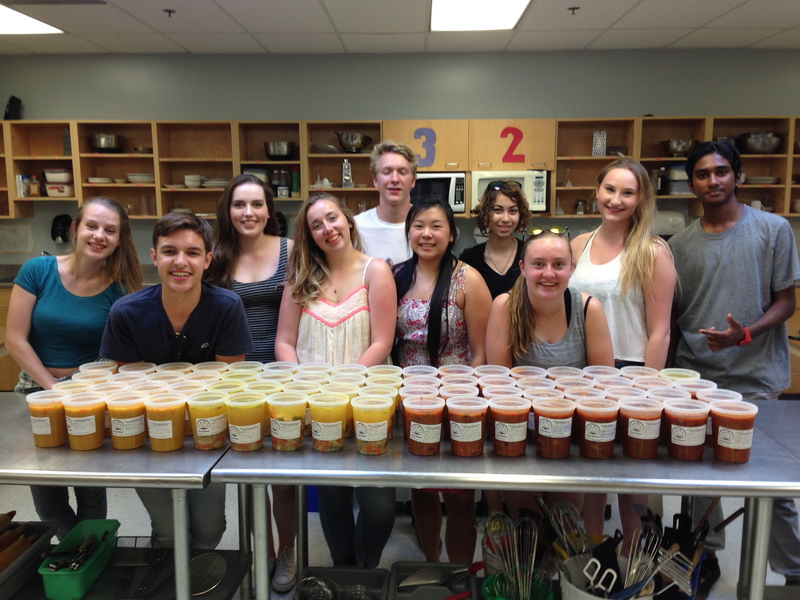 SOUPer job! 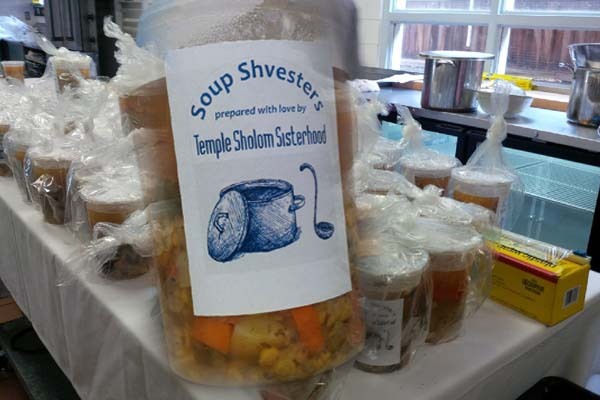 Temple Sholom Sisterhood in Vancouver, British Columbia is the local arm at Temple Sholom Synagogue of the national organization of Women of Reform Judaism. 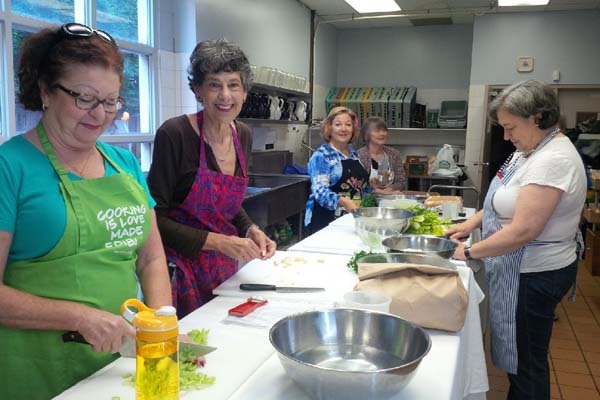 This year we are celebrating our 50th anniversary. 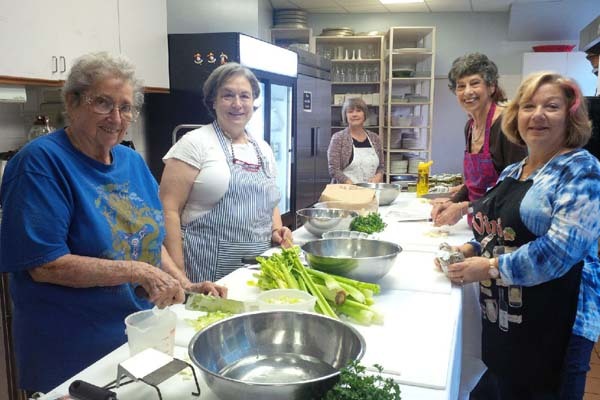 50 years of supporting the needs of our synagogue and serving the general communities we live in.